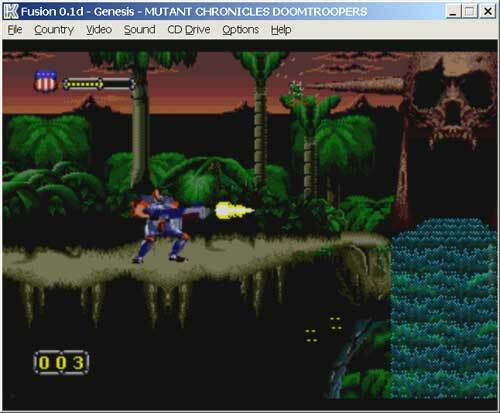 DOOM TROOPERS is the 2-dimention shooter. Play as either Mitch Hunter or Max Steiner as you must completed the important mission - destroy the Dark Legion. Work your way through eight detailed levels filled with all kinds of evil and dangerous mutants, as you unload with a barrage of high-powered weapons that are readily available. If the pressure is a little too much for you to handle alone, recruit a friend and try to eliminate the Dark Legion together. The world is in grave danger, and only the Doom Troopers can make things right.